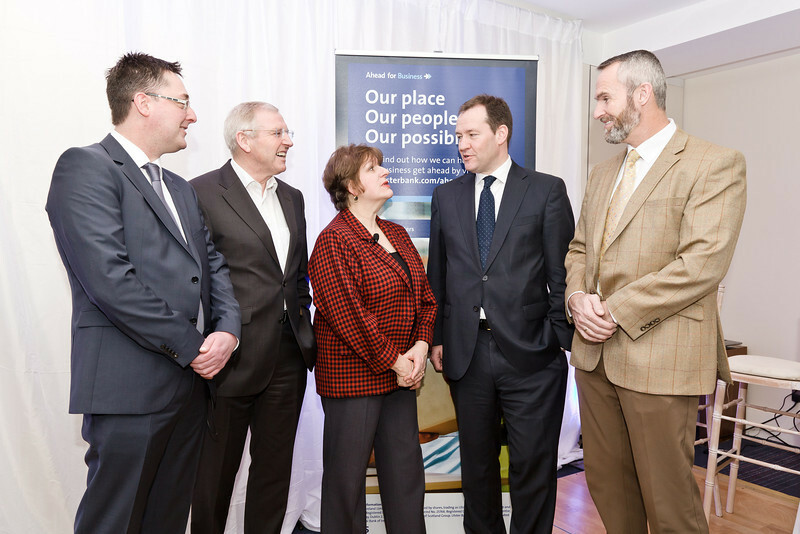 Get 'Ahead for Business' with Ulster Bank. 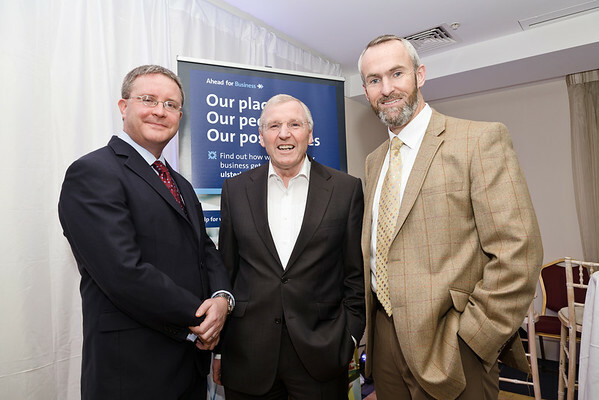 First of a series of Ulster Bank Events at the Sheraton Athlone. 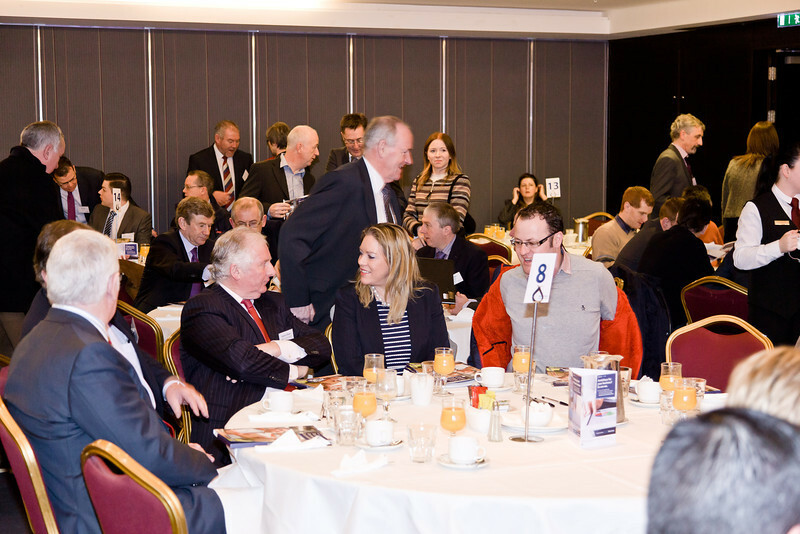 Get ‘Ahead for Business’ with Ulster Bank Event Series Business networking event scheduled for Sheraton Hotel, Athlone On Wednesday 29th January at 07:30am, Ulster Bank will host a breakfast business event to help companies in Athlone and the surrounding area plan for 2014 and beyond. 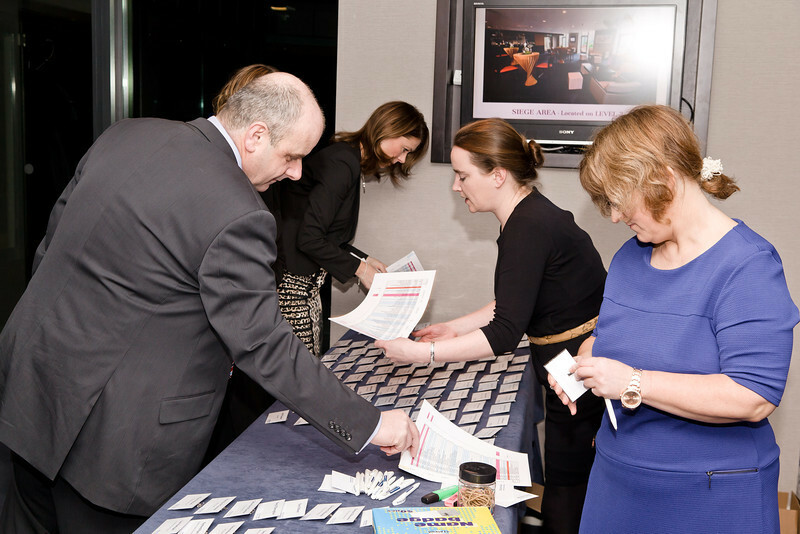 The event taking place in the Sheraton Hotel, Athlone is part of the Bank’s nationwide networking series, “Ahead for Business. The briefing is open to new and existing Ulster Bank customers and will include information on accessing finance, business planning and cash flow management. 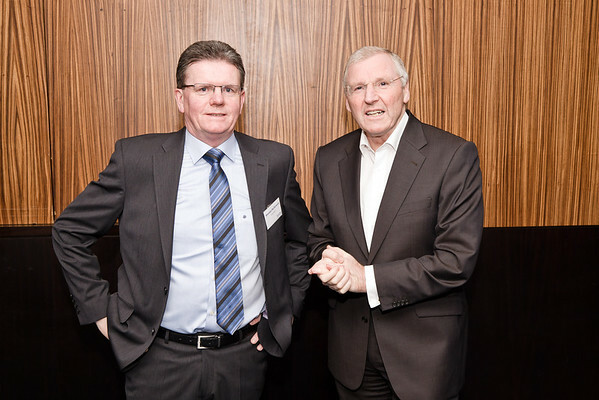 Commenting on the event Ken Murnaghan, Head of Business Banking said: “Our teams are looking forward to hosting the “Ahead for Business” event in Athlone. We intend to use this series to help local businesses develop their ideas, spark new concepts and highlight the suite of supports we provide to companies of all sizes.” Ulster Bank recently announced it has a dedicated €1.2billion available for business in 2014. Ulster Bank is open to all businesses who are seeking finance to support their growth plans in 2014. The event in Athlone will be moderated by Jill Kerby, personal finance journalist, and speakers include: · Ken Murnaghan, Ulster Bank; · John McDermott, Head of Ulster Bank’s, Midlands Business Centre; · Simon Barry, Chief Economist, Ulster Bank; · Patrick Kenny, Westward Garages (Ulster Bank customer); · Neville Furlong, Eyre Kin Ltd (Ulster Bank customer). 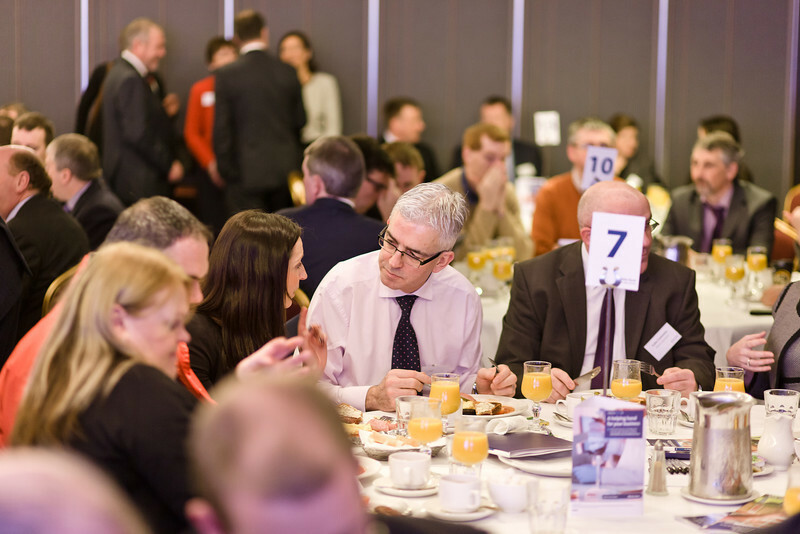 Get ‘Ahead for Business’ with Ulster Bank Event Series Business networking event scheduled for Sheraton Hotel, Athlone On Wednesday 29th January at 07:30am, Ulster Bank will host a breakfast business event to help companies in Athlone and the surrounding area plan for 2014 and beyond. 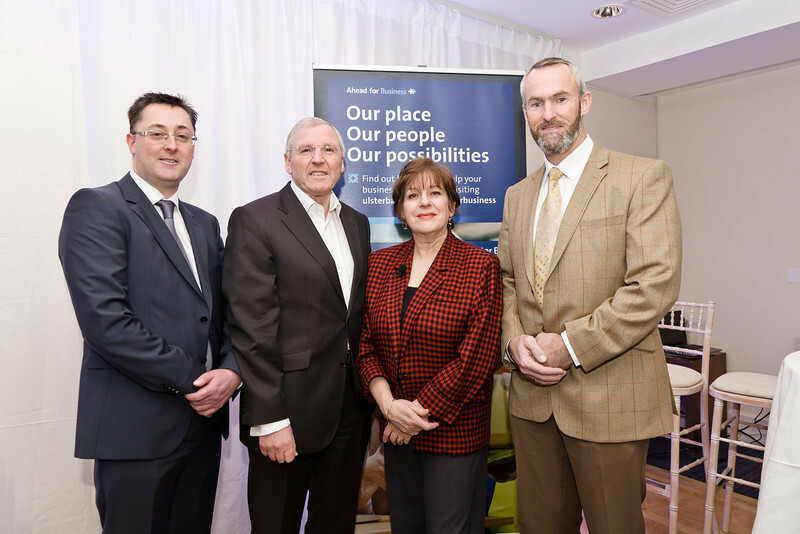 The event taking place in the Sheraton Hotel, Athlone is part of the Bank’s nationwide networking series, “Ahead for Business. The briefing is open to new and existing Ulster Bank customers and will include information on accessing finance, business planning and cash flow management. 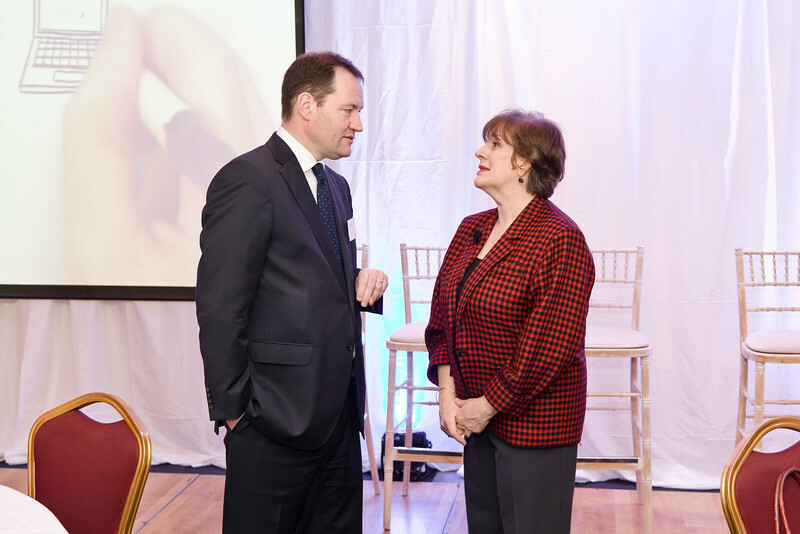 Commenting on the event Ken Murnaghan, Head of Business Banking said: “Our teams are looking forward to hosting the “Ahead for Business” event in Athlone. We intend to use this series to help local businesses develop their ideas, spark new concepts and highlight the suite of supports we provide to companies of all sizes.” Ulster Bank recently announced it has a dedicated €1.2billion available for business in 2014. Ulster Bank is open to all businesses who are seeking finance to support their growth plans in 2014. The event in Athlone will be moderated by Jill Kerby, personal finance journalist, and speakers include: · Ken Murnaghan, Ulster Bank; · John McDermott, Head of Ulster Bank’s, Midlands Business Centre; · Simon Barry, Chief Economist, Ulster Bank; · Patrick Kenny, Westward Garages (Ulster Bank customer); · Neville Furlong, Eyre Kin Ltd (Ulster Bank customer). 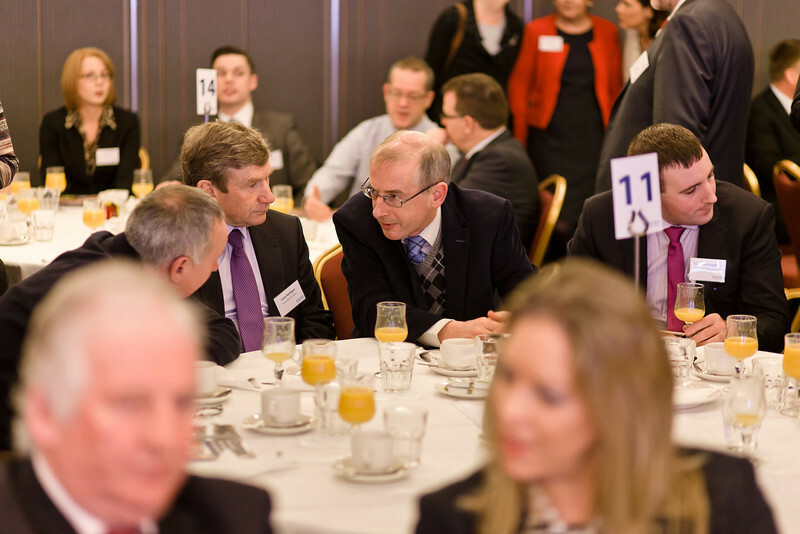 Get ‘Ahead for Business’ with Ulster Bank Event Series Business networking event scheduled for Sheraton Hotel, Athlone On Wednesday 29th January at 07:30am, Ulster Bank will host a breakfast business event to help companies in Athlone and the surrounding area plan for 2014 and beyond. 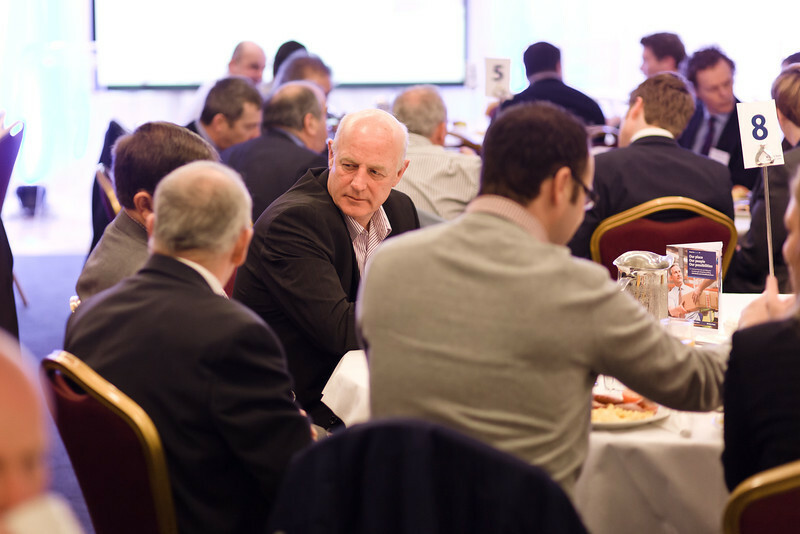 The event taking place in the Sheraton Hotel, Athlone is part of the Bank’s nationwide networking series, “Ahead for Business. The briefing is open to new and existing Ulster Bank customers and will include information on accessing finance, business planning and cash flow management. Commenting on the event Ken Murnaghan, Head of Business Banking said: “Our teams are looking forward to hosting the “Ahead for Business” event in Athlone. We intend to use this series to help local businesses develop their ideas, spark new concepts and highlight the suite of supports we provide to companies of all sizes.” Ulster Bank recently announced it has a dedicated €1.2billion available for business in 2014. Ulster Bank is open to all businesses who are seeking finance to support their growth plans in 2014. The event in Athlone will be moderated by Jill Kerby, personal finance journalist, and speakers include: · Ken Murnaghan, Ulster Bank; · John McDermott, Head of Ulster Bank’s, Midlands Business Centre; · Simon Barry, Chief Economist, Ulster Bank; · Patrick Kenny, Westward Garages (Ulster Bank customer); · Neville Furlong, Eyre Kin Ltd (Ulster Bank customer). 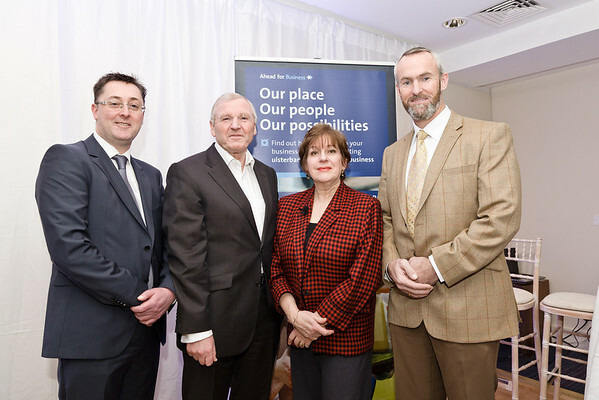 Wednesday 29th January 2014: Pictured here at the Ulster Bank Ahead for Business event, Sheraton Hotel, Athlone, (L-R) John McDermott (Head of Ulster Bank’s, Midlands Business Centre), Patrick Kenny (Westward Garages Ulster Bank Customer), Jill Kirby (Ulster Bank), Neville Furlong (Eyre Kin Ltd Ulster Bank Customer). The Ahead for Business events are taking place in 15 locations nationwide and are open to new and existing Ulster Bank customers. 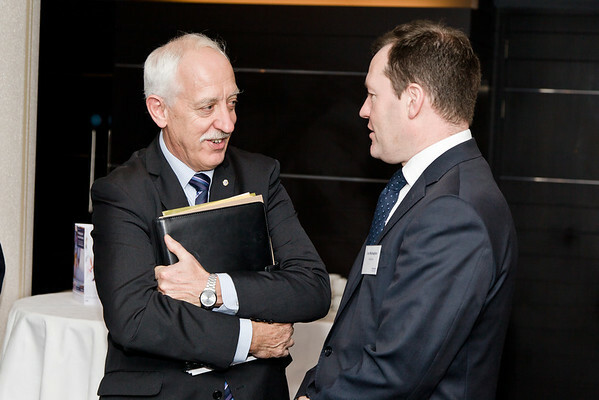 They include information on accessing finance, business planning and cash flow management. 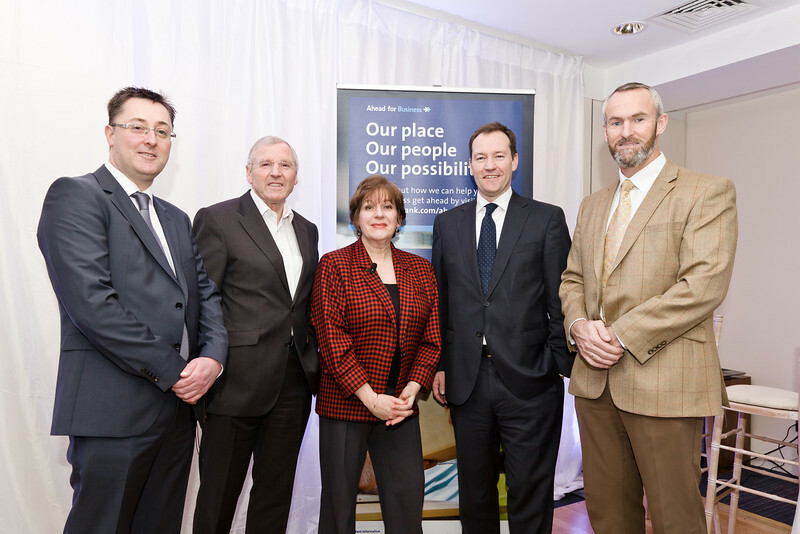 Wednesday 29th January 2014: Pictured here at the Ulster Bank Ahead for Business event, Sheraton Hotel, Athlone, (L-R) John McDermott (Head of Ulster Bank’s, Midlands Business Centre), Patrick Kenny (Westward Garages Ulster Bank Customer), Jill Kirby (Ulster Bank), Ken Murnaghan, (Ulster Bank), Neville Furlong (Eyre Kin Ltd Ulster Bank Customer). The Ahead for Business events are taking place in 15 locations nationwide and are open to new and existing Ulster Bank customers. They include information on accessing finance, business planning and cash flow management. 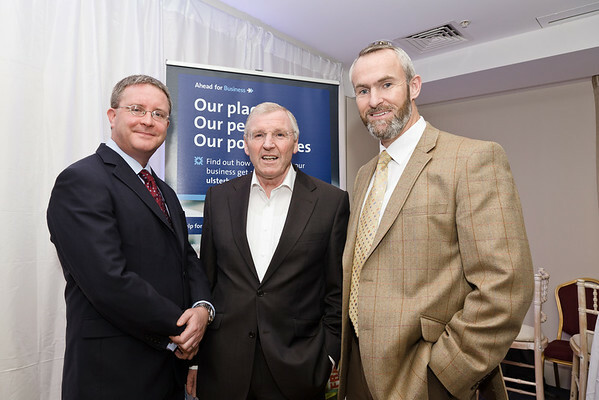 Wednesday 29th January 2014: Pictured here at the Ulster Bank Ahead for Business event, Sheraton Hotel, Athlone, (L-R)Simon Barry (Cheif Economist Ulster Bank), Patrick Kenny (Westward Garages Ulster Bank Customer), Neville Furlong (Eyre Kin Ltd Ulster Bank Customer). 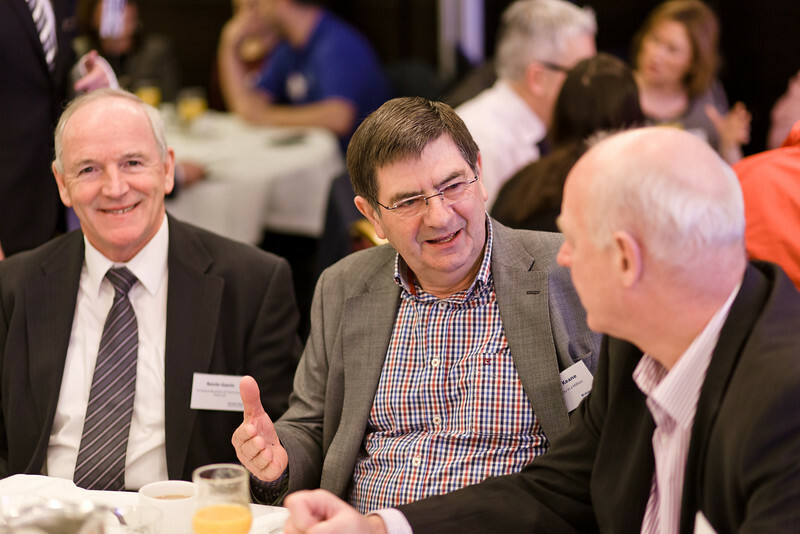 The Ahead for Business events are taking place in 15 locations nationwide and are open to new and existing Ulster Bank customers. They include information on accessing finance, business planning and cash flow management. Get ‘Ahead for Business’ with Ulster Bank Event Series Business networking event scheduled for Sheraton Hotel, Athlone On Wednesday 29th January at 07:30am, Ulster Bank will host a breakfast business event to help companies in Athlone and the surrounding area plan for 2014 and beyond. 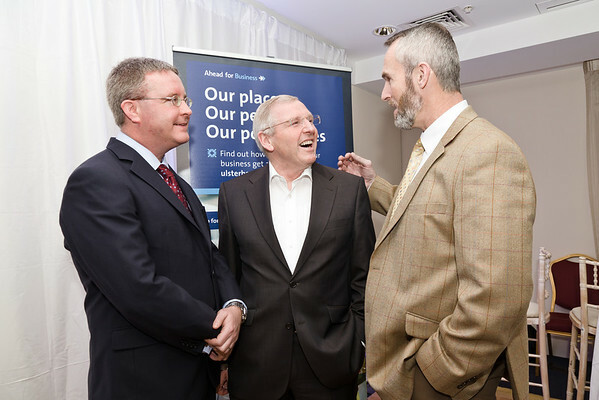 The event taking place in the Sheraton Hotel, Athlone is part of the Bank’s nationwide networking series, “Ahead for Business. The briefing is open to new and existing Ulster Bank customers and will include information on accessing finance, business planning and cash flow management. 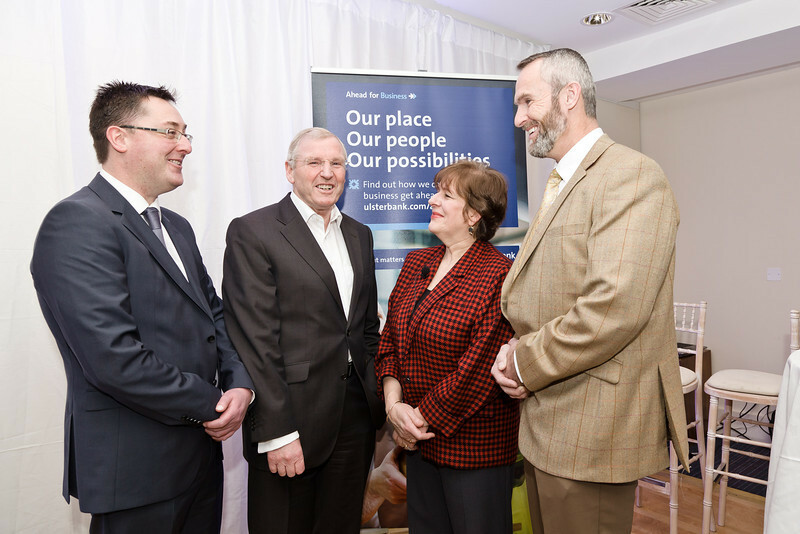 Commenting on the event Ken Murnaghan, Head of Business Banking said: “Our teams are looking forward to hosting the “Ahead for Business” event in Athlone. We intend to use this series to help local businesses develop their ideas, spark new concepts and highlight the suite of supports we provide to companies of all sizes.” Ulster Bank recently announced it has a dedicated €1.2billion available for business in 2014. Ulster Bank is open to all businesses who are seeking finance to support their growth plans in 2014. The event in Athlone will be moderated by Jill Kerby, personal finance journalist, and speakers include: · Ken Murnaghan, Ulster Bank; · John McDermott, Head of Ulster Bank’s, Midlands Business Centre; · Simon Barry, Chief Economist, Ulster Bank; · Patrick Kenny, Westward Garages (Ulster Bank customer); · Neville Furlong, Eyre Kin Ltd (Ulster Bank customer). Get ‘Ahead for Business’ with Ulster Bank Event Series Business networking event scheduled for Sheraton Hotel, Athlone On Wednesday 29th January at 07:30am, Ulster Bank will host a breakfast business event to help companies in Athlone and the surrounding area plan for 2014 and beyond. 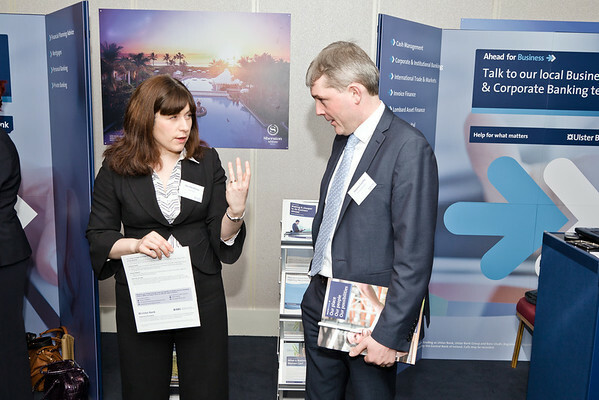 The event taking place in the Sheraton Hotel, Athlone is part of the Bank’s nationwide networking series, “Ahead for Business. The briefing is open to new and existing Ulster Bank customers and will include information on accessing finance, business planning and cash flow management. 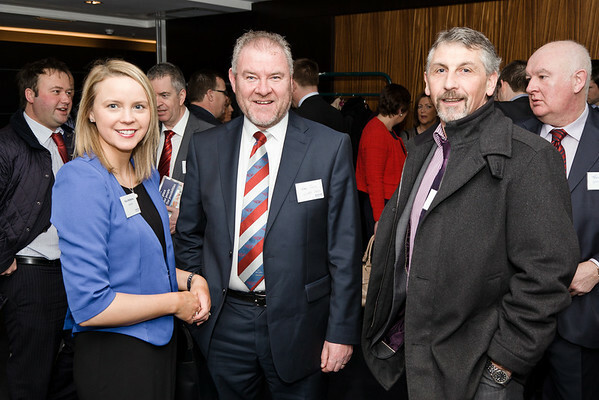 Commenting on the event Ken Murnaghan, Head of Business Banking said: “Our teams are looking forward to hosting the “Ahead for Business” event in Athlone. We intend to use this series to help local businesses develop their ideas, spark new concepts and highlight the suite of supports we provide to companies of all sizes.” Ulster Bank recently announced it has a dedicated €1.2billion available for business in 2014. Ulster Bank is open to all businesses who are seeking finance to support their growth plans in 2014. The event in Athlone will be moderated by Jill Kerby, personal finance journalist, and speakers include: · Ken Murnaghan, Ulster Bank; · John McDermott, Head of Ulster Bank’s, Midlands Business Centre; · Simon Barry, Chief Economist, Ulster Bank; · Patrick Kenny, Westward Garages (Ulster Bank customer); · Neville Furlong, Eyre Kin Ltd (Ulster Bank customer).